I'm traveling to DC later this month for a friend's Knights of Malta event, and as part of that, I'll be attending a ball. This meant I needed a formal gown, plus all of the accessories - bag, jewelry, the works! I've been spending a lot of time online shopping to find options, and I've found some really cute things I wanted to share! First up are the dresses. I'm always drawn to sparkles, beads, or sequins on dresses - I love fun embellishment. Or, I tend to go in the complete opposite direction, with simple, classic styles and silhouettes. Every so often, though, there will be a pattern or two that catches my eye. I tried to pick a good variety of those to share with you - check out what I like below! Having some sort of purse/clutch/evening bag is so important, but it's not something that tends to get a lot of use, outside of formal events. Because of this, I try not to spend too much on a clutch - I know it'll only get used occasionally. Luckily, there are lots of cute options that are budget friendly! You can see what I found here. The dress I picked for my event in DC is beaded, so I didn't want to go overboard with jewelry. A necklace would be too much and would compete with the dress, but a pair of sparkly, statement earrings was just enough shine and glam. There are so many beautiful statement earrings out right now - I had trouble narrowing this down to six! 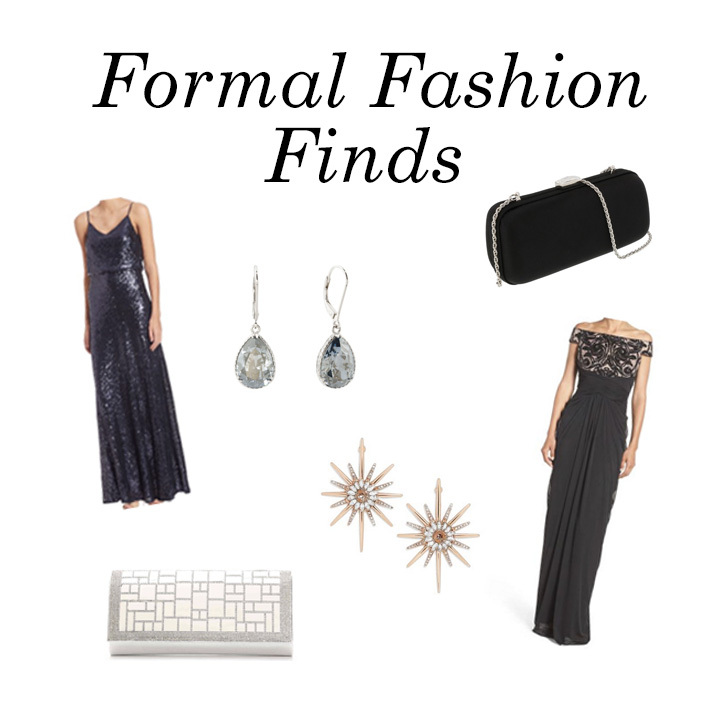 Even if you don't have a formal event coming up, any of these would make a great addition to your jewelry collection.